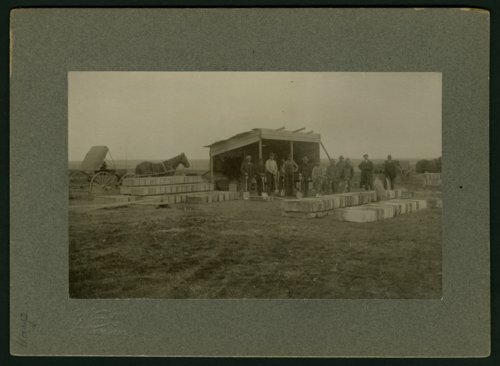 Here are two photographs showing a crew of workmen removing the remains of deceased soldiers from the Fort Hays cemetery. The bodies were transported and reburied at the Fort Leavenworth National Cemetery. Many of the soldiers died of cholera. The headstones were removed and crated before shipment.